Under normal circumstances there is a carefully controlled balance of yeasts and bacteria in our digestive system that acts to maintain health. One of these organisms is a type of yeast termed Candida albicans and is generally no problem to us. However, under certain conditions including antibiotic use, the contraceptive pill and diets high in sugar, uncontrolled overgrowth of this yeast occurs resulting in candidiasis (often simply referred to as candida). This may affect the entire body and can result in a wide range of symptoms including bloating, food intolerance, Athlete’s food, headaches and eczema. Most practitioners generally recommend a change in diet that excludes yeast and sugar, along with a supplement programme designed to help readdress the balance in the digestive tract, and heal the gut, as well as support the immune system. 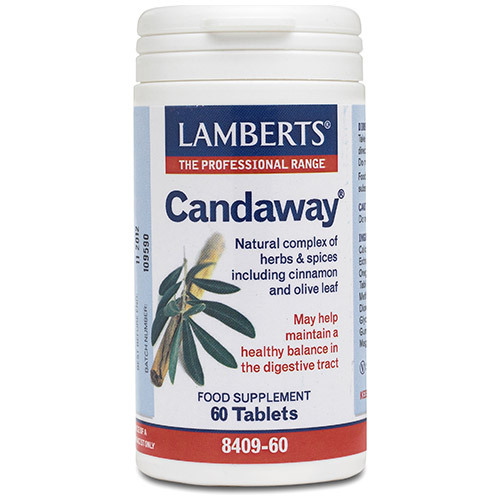 So we are delighted to introduce Candaway to the LAMBERTS range. This unique, high potency formula, contains a natural complex of herbs and spices that may help to maintain a healthy balance in the digestive tract. It includes cinnamon bark in combination with olive leaf, fennel seed and oregano. When using herbs and spices in LAMBERTS formulas, we always ensure that we use the correct species and the relevant part of the plant. This is why we have specifically used cinnamon bark since it is the bark, as opposed to the oil, that is principally documented for cinnamon’s therapeutic qualities, including its antimicrobial and antifungal activity. Calcium Carbonate, Cellulose, Tablet Coating (hypromellose, Colour: Titanium Dioxide and Copper Chlorophyllin, Glycerin), Crosslinked Cellulose Gum, Stearic Acid, Silicon Dioxide, Magnesium Stearate. 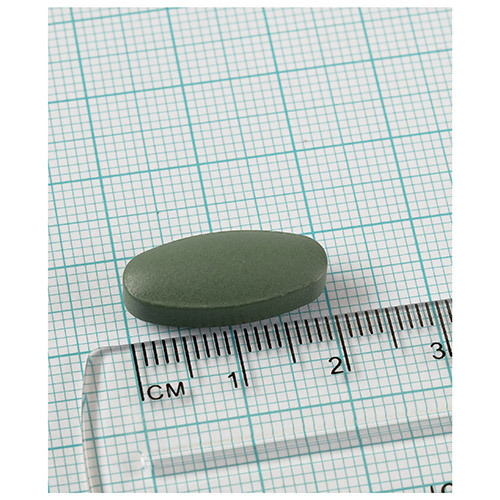 Take 2 tablets daily with a meal or as directed by a practitioner or pharmacist. 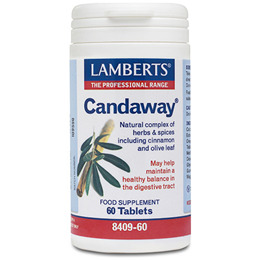 Below are reviews of LAMBERTS Candaway - Digestive Support - 60 Tablets by bodykind customers. If you have tried this product we'd love to hear what you think so please leave a review. 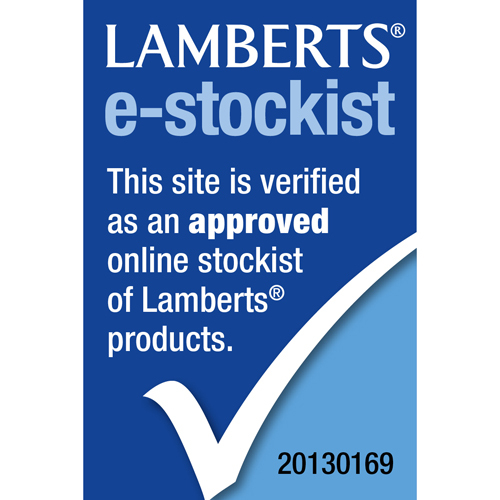 LAMBERTS Candaway is generally recommended by practitioners when a change in diet results in the exclusion of yeast and sugar. This supplement may help readdress the balance in the digestive tract, heal the gut and support the immune system.